The Council on Social Work Education (CSWE)’s Commission on Accreditation has accredited the Master of Social Work (MSW) program at Nyack College through its rigorous process. Students in the 63-credit program can choose to concentrate in Clinical Social Work Practice or Leadership in Organizations and Communities. The Council on Social Work Education (CSWE) is the only accreditation for Social Work education in the United States that awards its credentials to all qualifying degree programs. Nyack’s program has been reviewed to maintain standards of excellence and to implement best practices in the field. This is an official recognition of Nyack as an excellent resource for social education for our students, field instructors, agency leaders, community partners, and public officials. The next accreditation review will be in June 2022. 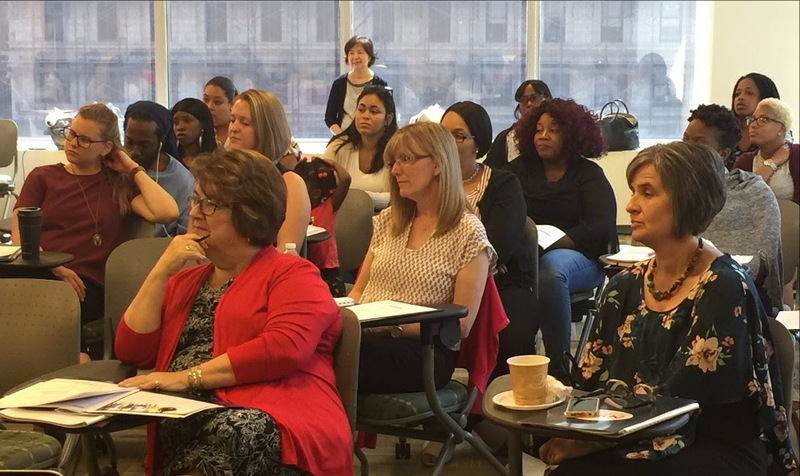 Student Orientation for incoming MSW students was held on Saturday, August 25, 2018. The orientation was to empower students on their new journey at Nyack College School of Social Work with a sense of confidence and assurance of a support system. It provided an overview of what to expect as a new graduate student, including information on Competent, Compassionate, Catalyst, academic success, policies, procedures, and resources and services on campus. Approximately 45 students attended the orientation and met with faculty, administrators and current MSW students. 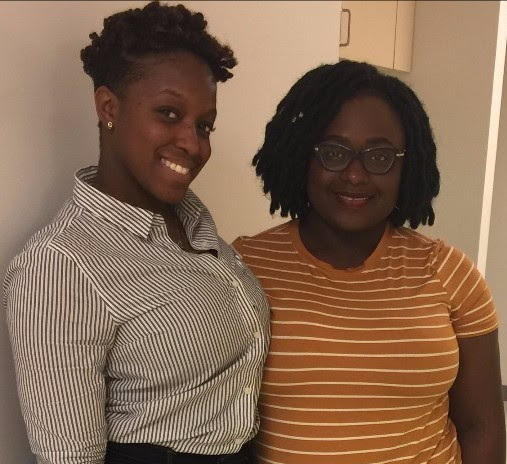 There were two Nyack College Rockland Alumni students from the orientation, Danielle Wright and Christen Smith, who shared with us their excitement and experience about attending the orientation held on Saturday, August 25, 2018. 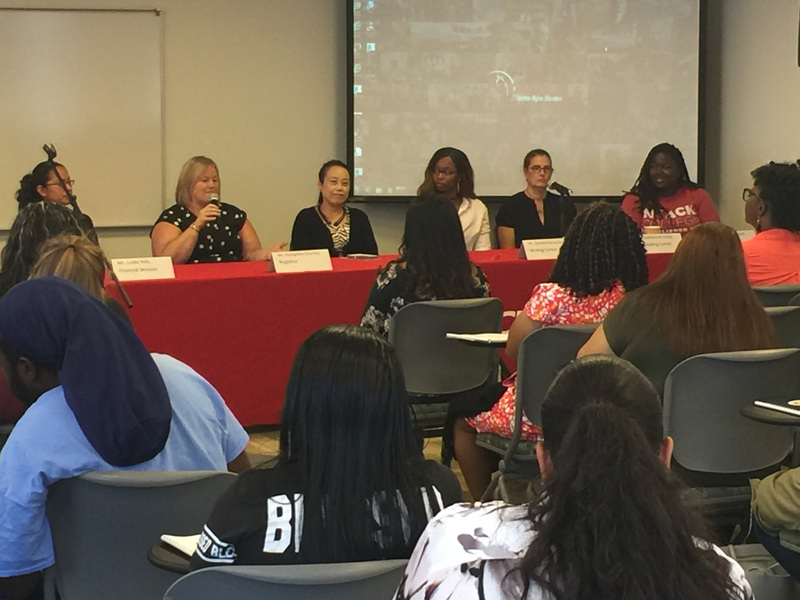 Danielle Wright (pictured on the left) said that the orientation was very informative and provided the opportunity to learn how to navigate the Nyack College NYC campus. She was excited to start her journey as a MSW student and was particularly very happy that Nyack College School of Social Work is able to provide opportunities for her to pursue her dream of working in the criminal justice system through an internship in the prison system. Christen Smith (pictured on the right) is enrolled in the Clinical Social Work Program because she believes the MSW program will be a perfect guide in pursuing her goal of obtaining a job in assisting individuals in mental health and behavioral health facilities such as a hospital psychiatric unit or within the prison system. She hopes, one day, she will be able to manage her own program for those in need. After meeting and hearing stories from a few current and former students about their experience, she felt encouraged to further her knowledge and spiritual life while in the program. Wickny Cadet graduated from Nyack College in May of 2014 with a Bachelor of Science Degree in Social Work (BSW), then earned a Master’s in Social Work (MSW) with a concentration in Clinical Social Work at Fordham University Graduate School of Social Service in 2015. Mrs. Cadet has an extensive background in working with children, adolescents, and adults in Outpatient Mental Health as a psychotherapist and has gained experience working in Schools, Nursing Homes, and Domestic Violence settings. 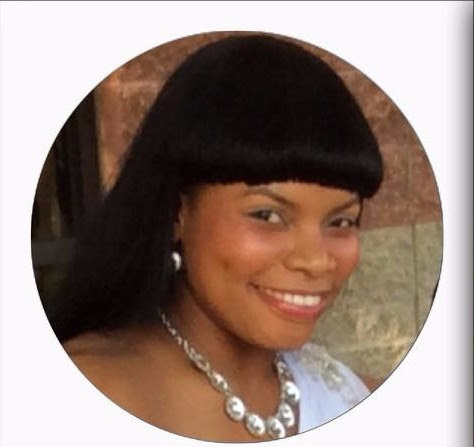 Currently, she serves in Beraca Baptist Church as a Director for The Beraca Godfriending Youth Mentoring Program. Presently, Wickny is employed in the Nyack College School of Social Work Program as Dean Assistant/Publication of Newsletter and Communication while enrolled for her second Master’s Degree in Marriage and Family Therapy in the Nyack College Alliance Graduate School of Counseling. Her passions include helping people understand the purpose of marriage which is to reflect the image of God, raise godly children, establish and build His kingdom, and by building a firm companionship, a strong family is built. Her passion for marriage runs deep that she also holds a secondary occupation as a Wedding and Event Planner. Mrs. Cadet also shared that Nyack has been a huge part of her development as a Christian, wife, leader, professional and as a Social Worker. It has been a place where God worked amazingly in her and through her. The Social Work department is one of the most amazing departments in the college and is a place one can call home. It is also a place where relationships grow. She is not only coming back to work in the School of Social Work, and to get her second Master’s Degree in Marriage and Family Therapy, but also to make a difference and plant seeds in others that the school has planted in her. She prays for God to use her, and faculty members, for His glory and to help build the Nyack School of Social Work. As a result, the students will leave Nyack transformed and become the true compassionate Social Worker’s God has called them to be in this hurting world. The School of Social Work welcomed and was very delighted to have Wickny Cadet back with the Nyack family. 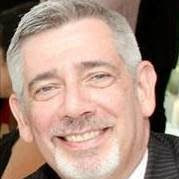 Professor Fredrick Brandenberger has been teaching at Nyack College for 11 years, and for the past two years, he has been teaching as an Adjunct Professor in Advanced Clinical Assessment and Diagnosis in the Nyack College School of Social Work. Prof. Brandenberger has also been working at Montefiore Medical Center for 23 years as a Licensed Clinical Social Worker. He was born, raised and saved in Bronx, New York. He has been married for over 30 years and has two adult children. His mother is of Irish and English descent and his father is Latino born in Puerto Rico. He grew up playing handball and paddleball in the 1970’s and learned to play guitar. 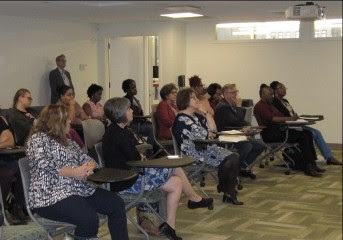 He shared, it is about having the opportunity to instruct future social workers and mental health counselors in recognizing their personal spiritual calling, blending it with clinical and spiritual values, to the populations they will serve. He recognizes that Nyack College is preparing professional social workers and counselors to change the world with a Christian World View.